Direct Thermal printers don't require any ribbon, ink, or toner to print. These printers use a specially treated direct thermal label and the heat from the printerâ€™s printhead to making the desired print. This type of printer is very cost effective and reliable for a variety of applications like printing shipping labels and receipts. Call one of our experts to learn more about our full line of Direct Thermal Printers and Direct Thermal Labels! 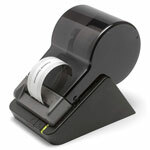 TDP-247, Desktop Direct Thermal Printer, 203 dpi, Interface Options:USB,Serial,Parallel, Maximum Print Width 4.25". DLXi, Desktop Direct thermal Barcode printer, 203 dpi, maximum print width 2.4", Interface Options: USB and Serial, 8MB, North American Power supply and Power cord included. ZT230, Standard ZT230 features include 4" print width, Direct thermal print mode, 203 dpi, Tear bar, USB 2.0, RS-232 Serial, EPL 2 and ZPL II Programming Language, North America power cord. E-4205A, Desktop Direct thermal Printer, 203 dpi, Interface Options: Parallel, Serial, USB, Ethernet, Maximum Print width 4.25, Auto Emulation. 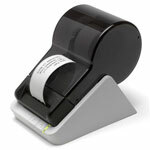 ZT220, Industrial Direct thermal printer, 203 dpi, maximum print width 4", Interface Options: Serial & USB, US power cord. 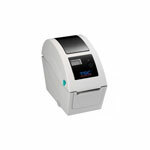 I-4212E, Industrial Direct thermal Printer, 203 dpi, Interface Options: Serial, Parallel, USB, Maximum Print width 4.1.